Hi everyone! Welcome to Lawn Fawn’s holiday celebration for 2012. Whoo hoo! This week, I’m sharing cards made with two different stamp sets, starting with today’s Let It Snow cards. This is one of my favorite Lawn Fawn sets. Who could resist those chevron trees? For this card set, I wanted to go with something modern and elegant. Which, somehow, translated into glitter. Lots and lots of glitter! 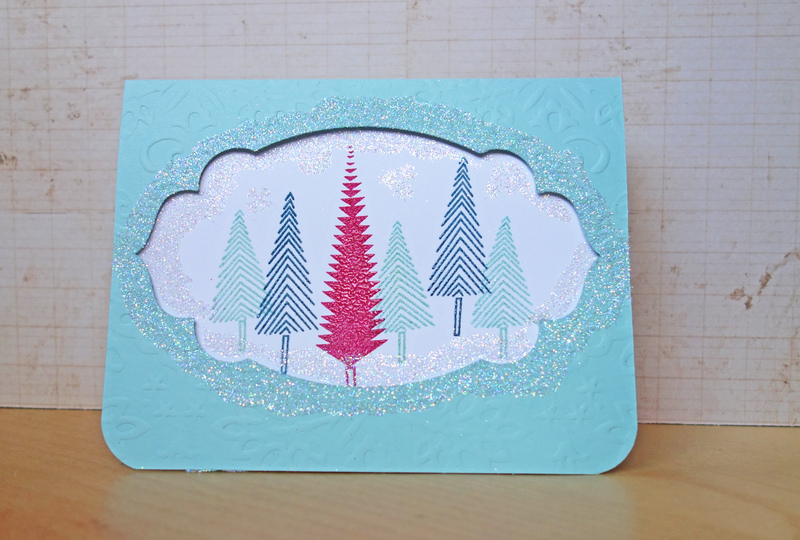 It didn’t help that it was snowing this weekend, and I felt the need to create a winter wonderland on my cards. Anyway, as you can see, I combined all that glitter and the stamped images with two simple, dry-embossed cards that I die cut windows in. Super easy but, boy, do window cards look amazing! Have an amazing Monday, and be sure to check out the Lawn Fawn blog for even more holiday happiness! Lawn Fawn Holiday: And a Partridge . . . I like the effect of snow on the card. Just wondering, what kind of glue/adhesive did you use? Thank you for sharing. Hi Ruth! Thanks for asking. 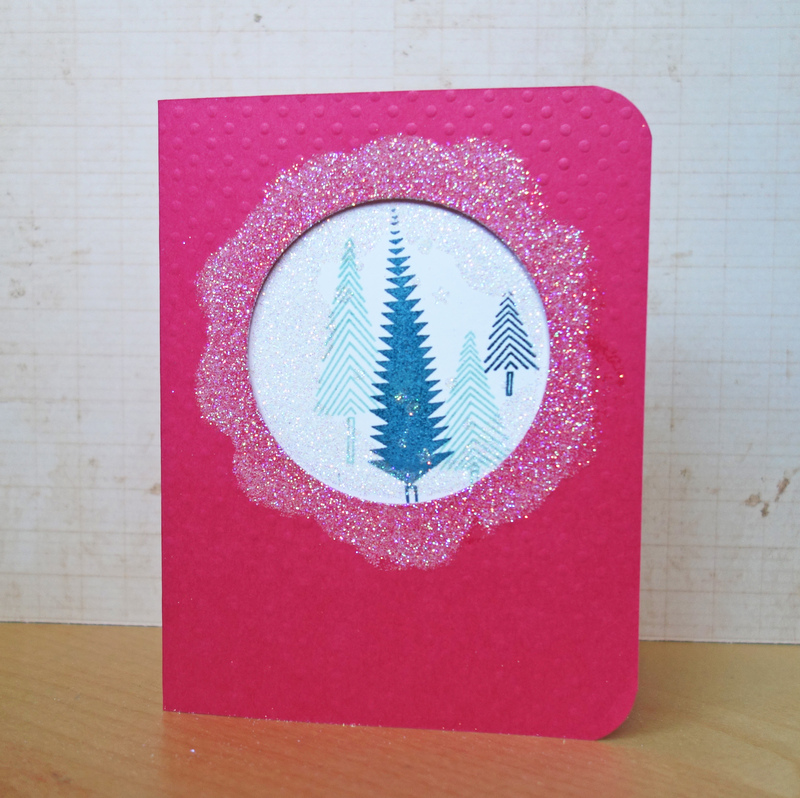 🙂 I actually used a Tsukineko Glue Pad to stamp some of the little snowflakes over the trees. Then, I took the Glue Pad refill and applied the glue/ink directly to a sponge dauber. After that, it was easy to sponge glue all around my die cut windows and tree images. Hope that helps! Such beautiful cards! Thanks so much for your inspiration!!! Thanks so much for the tip. I just love the effect it gives the card, reminds me of a snow globe.